Changing operating systems is a painful process: leaving what you know behind for a new and potentially fruitful land, sacrificing some things for others. The grass is, as they say, always greener on the other side; the fruits of Mac OS X look appealing on Windows and vice versa. Each major operating system has its own quirks, flaws and plus points aplenty, whether they be broad application support (Windows) or, in my opinion, design (OS X). The majority of the PC-using world – of which the population is hundreds of millions – still use Windows, especially at work or educational institutions. Microsoft is still doing incredibly well financially in large part because people use Windows. 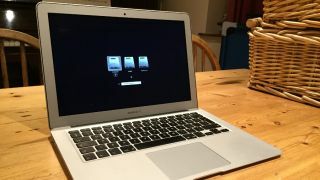 Because of this, many Mac users have to install Windows onto their laptop or desktop in order to be compatible with the outside world but retain the Mac hardware. When looking to install Windows on your Mac there are several options, only one of which – Boot Camp – I will explore in detail here. Software such as Parallels and VMware Fusion enable a Mac to "run" Windows simultaneously, on top of OS X and, in Parallels' case, integrate the two seamlessly. With the dual-system mode in Parallels enabled, Windows programs, right down to Solitaire, appear to run natively inside OS X. Unfortunately, both of these products are expensive – £64.99 ($100) for Parallels, £52 ($75) for Fusion – and there are massive trade-offs for performance, especially on lower-end MacBooks or older machines. I personally use a MacBook Air (mid-2013) with 4GB of RAM and an Intel Core i5 CPU – a fairly powerful machine – but you can forget gaming using the Windows version of Steam if Parallels is being used. Luckily, Apple has thought of this and includes Boot Camp in OS X. Boot Camp essentially lets the user create a partition on the hard drive upon which a new operating system can be installed. All the user needs is a copy of Windows, either on a disk or as an ISO file, and more than 30GB free on their hard drive. Set up is simple with the only issue I encountered being the formatting of the partitioned drive, requiring a download from Seagate that allowed it to be formatted in the NTFS format. Once I had this sussed, I restarted my Mac, held down the 'alt' key (from where I assumed the Mac had switched off, although I'm not sure how accurate you need to be within the Restart), selected the drive entitled "Windows" and my copy of Windows 8.1 booted up perfectly, even speedily. When booted, the Mac behaves like a Windows PC – it becomes, in effect, a Windows PC. There can be a few oddities – the trackpad functions far less well in Windows and Wi-Fi failed to work until I found the relevant drivers on Apple's Help site – but for all intents and purposes my MacBook is now a dual-booting PC, running the best of Microsoft and Apple. I could install Steam and get to work in Grand Theft Auto or Battlefield, or run Office or any Windows-only application that I like. Windows 8.1 could benefit from touchscreen input now and then – as many column inches have been spilt explaining – but Windows 10 looks as though it is bringing back the focus to those PCs with a keyboard and mouse, or trackpad in this case, which should solve some of these issues. The bottom line is that the experience, by and large, is the same as it would be on a PC solely running Windows.